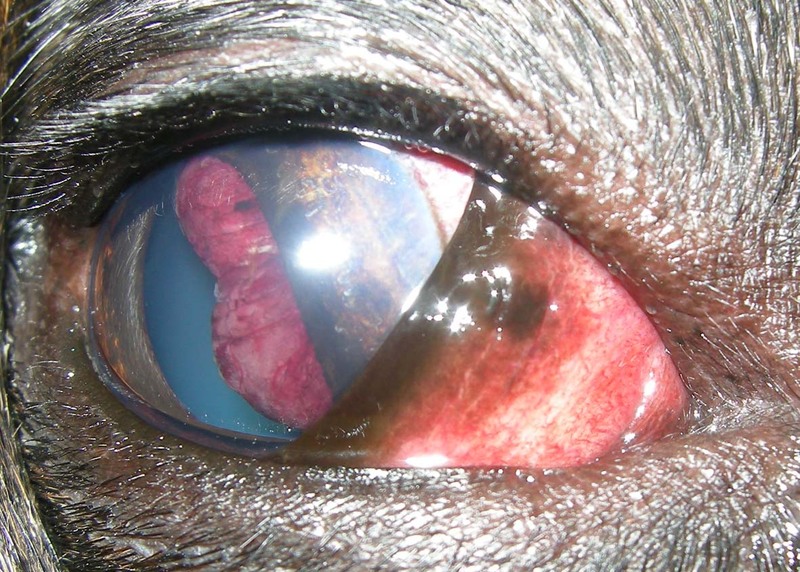 This 8 year old Staffordshire Bull Terrier has a slowly growing mass making itself visible in the pupil. What is it and how would you treat it? What tests might you use to assess the status of the eye? Is is a ciliary body adenoma. The intraocular pressure is 28mmHg so glaucoma is not a big worry at present. In the past we would have left this as the eye is painfree and visual, enuicleating when uncontrollable glaucoma supervened. These days intraocular surgery could be used to remove it. My worry is that we might convert a sighted painless globe into a blood-filled blind painful one. What do you think? This entry was posted in Cases and tagged ciliary body adenoma, dog. Bookmark the permalink.